We specialize in Wholesale Custom Foam, Pillows, Cushions, Upholstery Tools and Accessories. Our foam fabricating facility can cut almost any shape and size including die pressing and convoluting. We have a CNC dustless contour cutting machine, and three computerized machines for accurate cuts. We are capable of bull nosing and buffing foam. We have a glue station for furniture and packaging application. We manufacture foam mattresses for campers, boats and antique replacement beds; quilted or non-quilted covers are available. 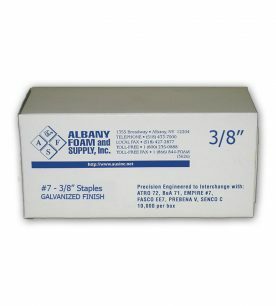 We have more than 25 different types of foam and over 100 different sizes in stock for immediate shipment. 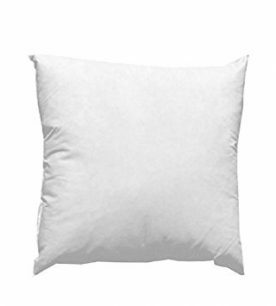 We manufacture our own line of superior quality throw pillows, which includes five (5) blends of down & feather and polyester Pudgy Puff throw pillows. Custom made Down & Feather cushions are also available. Down & Feather with a spring core gives a lifetime of comfort, Down & Feather with a foam core for more support, just Down & Feathers for an enjoyable soft feeling cushion. We have many combinations of Down & Feathers available like Fiber / Down, 5-95, 10-90, 25-75, 50-50, and 100% down. Contract sewing is also available for those who have too much work and not enough time. We also have an automatic button machine, so if you have a job that requires up to 200 buttons we will make them for you so you can save time and money. We have contract vinyls for commercial and residential use. We carry more than 1,500 items in stock from adhesives to zippers. No order is too large or too small. We provide quality wholesale products for our clients at a great price. Ranging from custom feather and down pillows to high quality custom foam cushions.